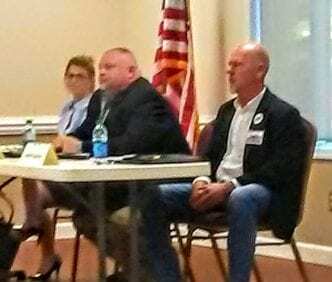 HIAWASSEE, Ga. – Hiawassee City Council held a special-called meeting on the evening of Thursday, Jan. 10, to discuss information pertaining to the 2019 election. Three of the five council seats will be listed on the Nov. 5 ballot. Qualifying will take place at Hiawassee City Hall from Wednesday, Aug. 21 through Friday, Aug. 23, between the hours of 8:30 a.m. and 4:00 p.m. The qualifying fee is $45.00. Candidates must reside within Hiawassee city limits for a minimum of one-year prior to election day, and be over the age of 21. Posts currently filled by Anne Mitchell, Kris Berrong, and Nancy Noblet could potentially face challengers, should the three council members choose to run for re-election. Noblet was elected to Post 5 in 2017, occupying the council seat left vacant by Mayor Liz Ordiales, a former council member. Council members Anne Mitchell, Kris Berrong, Nancy Nobet, and Amy Barrett attended Thursday’s meeting, in addition to Mayor Ordiales. 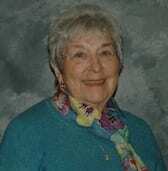 Councilwoman Patsy Owens was absent, said to be in Florida, vacationing. Hiawassee City Council is scheduled to convene for their monthly work session Monday, Jan. 28, at 6 p.m. at City Hall. Meetings are open to the public. HIAWASSEE, Ga. – Hiawassee City Council held their Regular Session shortly before the 2017 election polls closed on the evening of Nov. 7. A first reading to rescind the Franchise Ordinance, confirmed by Blue Ridge Mountain EMC to result in an additional line item on the future bills of Hiawassee citizens and businesses, was added to the agenda by Councilman Jay Chastain Jr. The motion to repeal the controversial mandate was seconded by Councilwoman Rayette Ross. Councilman Kris Berrong opposed the motion and declined a request for comment. Mayor Pro-Tem Ann Mitchell said in hindsight that she wishes the Council would have had more time to consider it. The ordinance was adopted during Special Called Meetings held Aug. 8 to 11, 2017, less than a week after former Pro-Tem Liz Ordiales stepped down to run for Mayor. “I’m really sorry this has become a community football,” Mayor Pro-Tem Mitchell told the community-packed room, “but it is a source of revenue that almost everyone in the state takes advantage of.” Mitchell suggested a public meeting to discuss the issue further, stating a second reading date is undetermined. The crowd migrated to the Board of Elections building, located adjacent to City Hall, after the Council meeting adjourned to await the highly anticipated election results..
Liz Ordiales won the Mayoral post with a 70 percent lead over her opponent, Barry Keith Dearing. Ordiales’s crowd of supporters were overjoyed with the results, offering hugs of congratulations to Hiawassee’s newly elected Mayor. Incumbent Councilman Jay Chastain Jr. lost his seat to Patsy Owens who garnered 62 percent of the votes. 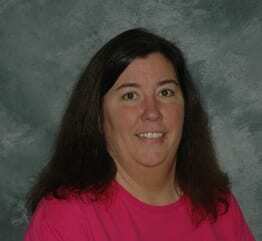 Nancy Noblet was elected to Post 5, securing her seat with a 55 percent lead over Anne Wedgewood. Amy Barrett, the sole unopposed candidate in the race, will replace Post 1 Councilwoman Rayette Ross who chose to not seek re-election. Hiawassee City Council will be sworn into office on January 1, 2018. Hiawassee, GA – Former Mayor Pro-Tem, Liz Ordiales, a mayoral candidate who stepped down from Hiawassee City Council in August to run in November’s election, sat down with Fetch Your News on Wednesday, September 6, to share some of her plans for the City’s future. 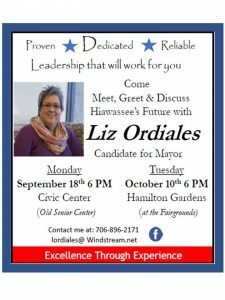 Ms. Ordiales was elected to Hiawassee City Council, Post 5, in 2015, and was selected by Council members to serve as Mayor Pro Tem in the Spring of 2017. Since Ordiales took office, Hiawassee has noticeably changed. Sidewalks have been added and repaired for pedestrians in Hiawassee, Town Square has been beautified, Mayors’ Park was constructed. “Behind the scene” improvements have also taken place. There were 20 fire hydrants in desperate need of repair when Ordiales joined the Council. That number is down to seven. The accuracy of water meter readings were at 70 percent; they’ve now reached an average of 99.6 percent. Many miles of underground water lines were inspected by professionals, free of charge, to check for wasteful leaks. Untouched bank accounts, opened long ago by the City, were discovered and closed. Ordiales was quick to add the changes were a result of Council efforts. “As a City Council member and Mayor Pro-Tem, I believe I have proven that we can move our city forward and prepare us for a great future, working with our County officials and local businesses,” Ordiales tells Fetch Your News. 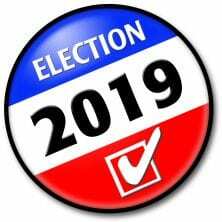 The election for Hiawassee Mayor and City Council takes place on November 7. Early voting begins on October 16. Updated information on the 2017 race is available. HIAWASSEE, GA – In a fiery email sent to Fetch Your News (FYN), Hiawassee Mayoral candidate Liz Ordiales repudiated allegations published October 27, 2017, by the said news outlet which cited several different concerns from fellow candidates, alongside the endorsement of her Mayoral opponent, Barry Keith Dearing, by Incumbent Councilman Jay Chastain Jr.
‘”I have never, I repeat NEVER been accused of any wrong-doing during my presidency at the Towns County Fire Corps. This article I believe has been altered since it originally appeared. It originally stated I was the Vice-President, which is a position I have never held. These accusations are unacceptable lies and are a direct attack on my character,” Ordiales wrote. The Mayoral candidate went on to claim libel and defamation of character. Fetch Your News caught the error referencing Ordiales as Vice-President, rather than the former President of the Towns County Fire Corps, soon after publishing and accepts responsibility for the slight inaccuracy. The mistake was promptly corrected once discovered. Two additional supporters responded in a similar fashion, adamantly defending Ordiales. Homework was, in fact, conducted. Fetch Your News does not allude to accusations without extensive research and substantial discovery. The general media, as well as local officials, are listed as recipients on the resignation. A decision was made to publish the allegations in full based on the elected position the candidate hopes to fill. Fetch Your News sent a copy of the 2013 letter to candidate Ordiales for review and provided an opportunity to respond in full. “I would like to address the accusations made in the article published 10-27-17. Those allegations were made by a disgruntled Towns County Fire Corps officer in 2013, who clearly demonstrated that he had joined this group for financial gain. That became evident upon his refusal to release the www.townscountyfirecorps.org website, which he is still in control of after 5 years. This prompted the Towns County Fire Corps to create a new website www.tcfirecorps.org When his invoice for website management was declined, he resigned from this position and wrote the letter of accusations,” Liz Ordiales stated. *UPDATED* Former Vice President of the Towns County Fire Corps, Ken Bryant, responded to FYN’s request for comment. Mr. Bryant stands by his decision to resign due the reasons listed in his letter addressed to board members, local officials, and the media. Mr. Bryant, a former federal agent and current fraud investigator, has submitted numerous additional documents related to his claims. Mr. Bryant has since written a Letter to the Editor. Follow Fetch Your News for additional coverage of the 2017 Hiawassee City Council election. Follow Fetch Your News for additional coverage of the 2017 Hiawassee City Council election. Election Day is November 7. 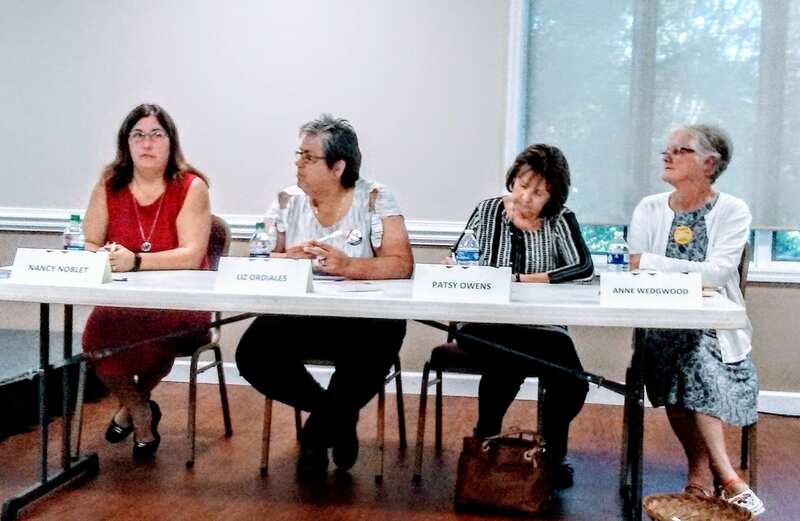 Hiawassee, GA – Monday night’s Forum for Hiawassee City Council posts consisted of opening and closing statements, prepared questions asked of each of the seven candidates, followed by inquiries from City residents. Professor John Van Vliet of Young Harris College moderated the panel at the Towns County Civic Center on October 2, 2017. Following an Invocation, the National Anthem, and the Pledge of Allegiance, the forum began. First addressed were Mayoral Candidates, Liz Ordiales and Barry Dearing. 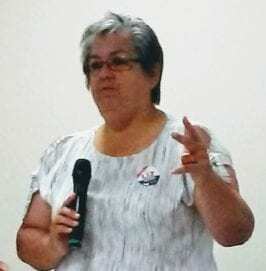 Former Mayor Pro-Tem of 4-months, Ms. Ordiales, opened with her qualifications and achievements – retirement from managing an estimated $12 million dollar budget while employed in Miami with AT&T, extensive local community service involvement during her 18-years of full-time residency in Towns County, and a list of improvements the City has experienced since Ordiales was elected to Post 5 in 2015. Barry Dearing, Founder of Van Keith Insurance, an 18-year local business with an estimated $8 million dollar budget, spoke of his professional expertise, his affection for his fourth generation hometown, adding he looks forward to serving the community. When asked to cite main goals within a five-to-ten year span, Mr. Dearing conveyed he plans to keep both resident’s and business owner’s interests in mind and will treat citizens equally while respecting the past, and presenting new ideas for the future. “I want to leave Hiawassee better than I found it,” Dearing expressed. Ms. Ordiales strives for “self-sufficiency” and would like to implement a program with WorkForce Georgia to teach subsequent generations the skills necessary to match area business demands, such as tourism and nursing. Ms. Ordiales also noted a need for improved infrastructure, specifically the sewage system. “Growth is coming. 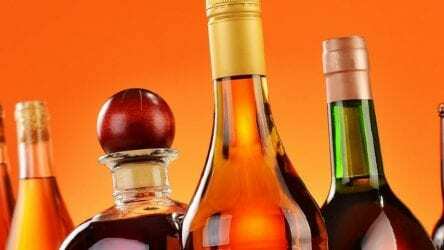 We need to be ready,” Ordiales warned. 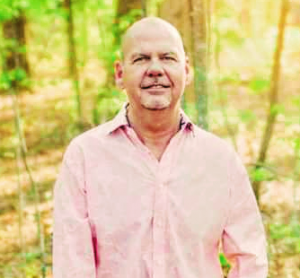 Barry Dearing agrees infrastructure expansion is necessary for future growth and plans to work with the Towns County Chamber of Commerce to promote Hiawassee and Lake Chatuge’s beauty. Mr. Dearing intends to encourage business growth geared toward the region, keeping the workforce local with a 5% incentive. Liz Ordiales hopes to compete with other cities by carefully planning economic development through connections with outside agencies, attracting companies to fill empty storefronts, and advancing the travel and tourism industry. The candidates vying for Post 2 seats on the Council are 12-year incumbent, Jay (“Junior”) Chastain, and retired Postmaster, Patsy Owens. The final candidates to speak were those hoping to fill Post 5, the seat left vacant by Mayoral candidate, Liz Ordiales. Nancy Noblet “spent 17 years in business, has experience making hard decisions, and has worked with budgets” in the past. Ms. Noblet says she wants to hear the people’s visions for Hiawassee’s future. Nancy Noblet assured voters she is “rooted and grounded” and has a desire to serve, while doing what’s best for the City. Noblet hopes to increase family oriented events on the Square and aims for a shift of focus directed toward the community’s youth. Anne Wedgewood, a candidate with a history in real estate, says she is a “watchdog,” a “what if” brainstormer. Ms. Wedgewood describes herself as an analyst, valuing fiscal responsibility. A volunteer with the Chamber of Commerce, Wedgewood expressed interest in attracting more visitors from the Atlanta suburbs by supporting “Mom and Pop” businesses, and specialty enterprises, such as craft breweries. Last to address the voters was unopposed candidate for Post 1, Amy Barrett. Although guaranteed a seat on the Council, Ms. Barrett hopes to receive votes of confidence. Barrett portrayed Hiawassee as “the best place on earth, a slice of heaven.” Ms. Barrett is active in an array of community services – from volunteering with the Friends of the Library, assisting the school system, and providing veteran support. Once a waitress who worked to advance her husband’s legal studies, Barrett promises to “accomplish great things” and says she looks forward to serving the City. Questions permitted from Hiawassee voters, directed toward the Mayoral candidates, ended the forum. 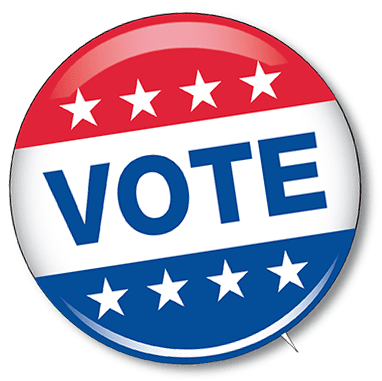 Early voting for Hiawassee City Council begins on October 16, 2017. The election will take place on November 7, 2017. HIAWASSEE, GA – Fetch Your News contacted the Mayoral candidates in the City of Hiawassee race and offered a final opportunity to appeal to the voters before Election Day arrives on Tuesday, Nov. 7, 2017. Neither candidate was permitted to review their opponent’s response prior to publication. My platform for this campaign has remained unchanged. As my card states: Better financial management, create infrastructure to support controlled growth and continue my efforts to make Hiawassee a better place to live. There are still many efficiencies that can be implemented in every department to create financial savings. Correcting our existing infrastructure is critical to Hiawassee. Sewer and water system upgrades are essential to allow residential as well as commercial growth. We are in the process of upgrading our sewer plant and will look to expand the water plant in the future. Citizen safety is also a top priority. Ensuring that fire hydrants are maintained, flushed and tested are critical for public safety. We have developed Standard Operating Procedures that will be followed. Our police department will continue to attend training sessions and ensure they have the equipment needed to perform their jobs. I will continue to enhance our sidewalks, streets, lighting, etc. in order to allow for more walk-ability in our city. Attracting and providing more events in our town is also critical to keep our businesses vibrant and engaged. I would continue to support events on the square as we have done with Moonshine Cruiz-in block party, Light up Hiawassee for Christmas, pickleball events during larger tournaments, etc. I am NOT an advocate for higher taxes. I have never voted to raise taxes in my two years with the City as a City Council member and interim Mayor. I believe with financial efficiencies and controlled economic development we will be able to maintain low taxes. 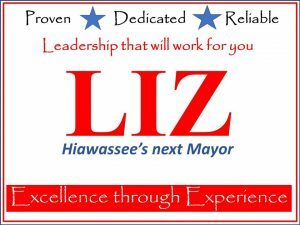 In closing, I will put Hiawassee first as a FULL TIME Mayor without the expense of a City Administrator or City Manager. If elected as Mayor of Hiawassee, my number one priority is to rescind the Franchise Fee Tax. This tax was proposed incorrectly and was presented to the public incorrectly. My opponent has stated on record that this fee will only cost the city residents approximately $20,000 which is incorrect. This will cost the city residents and businesses in the City, including the churches and hospital over $124,000 a year. At the last city workshop, there was discussion of doing away with the current retirement plan and going with a “cheaper” plan for the city and less retirement for the employees. I disagree with the proposed plan that my opponent requested the GMA to propose. I will stand up for our city employees and fight for what’s right and what is in their best interest. I will not take away their retirement that they deserve. I will work hand in hand with our current businesses to make sure they have the resources they need to grow and stay within our city. I will also encourage and work with new businesses that want to open in our City. I will work to get the grants needed to repair failing infrastructure and make sure that all of our infrastructure is prepared for our growth that will come. As Mayor, I will complete the Mayor’s Park so it is beneficial for our tourism and for our local citizens. I will work with Chamber of Commerce directly to promote tourism for our city. I will make our square an eventful place for more activities and walk-ability. 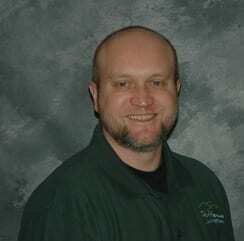 I will work hard to capitalize on growth utilizing our natural resources and beautiful mountains and Lake Chatuge. Remember, I have children in this community that work, go to school and plan on raising families here just as we are doing. As Mayor, I would like to see more youth activities that encourage our young adults to be more involved and have a part in our City activities and our City government. After all, they are our future. I will work closely with our City Police Department and make sure they have what is needed to protect themselves, our citizens and families in the city. For the record, I have never mentioned doing away with the City of Hiawassee Police Department. Also, I have heard this multiple times and to clarify, I have not ever mentioned hiring a City Manager. I will be transparent and will make sure the citizens of our community know exactly what the city is doing at all times. I will work closely with our county to make a strong relationship. Thank you to all the citizens and business owners within the entire community that have shown such great support and positive energy during this campaign. Please encourage your neighbor, family and friends within the city to VOTE on Tuesday, Nov. 7, from 7 a.m. to 7 p.m. at the Board of Elections. Fetch Your News has followed the 2017 Hiawassee City Council race since its inception. Additional articles can be found on our site. Count on Fetch Your News to provide the election results on the evening of Nov. 7.